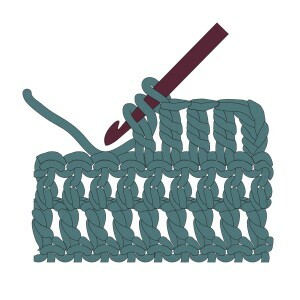 Resources for learning such as a list of commonly used crochet abbreviations & pattern basics. 1. Hold the yarn a few inches from the end and wrap it around your fingers. 1. Chain four to start your row. Yarn over twice and insert the hook into the stitch next to the base of the chain. 1. 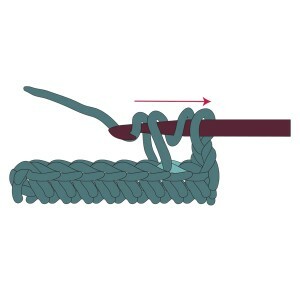 Yarn over and insert the hook under the V of the 3rd chain stitch from the hook. 1. Yarn over and insert the hook under the V of the chain stitch from the hook. Yarn over again and pull the yarn through the V.
1. 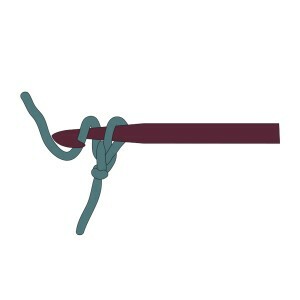 Insert the hook under both front and book loops (or, under the complete “V”) of the 2nd chain from the hook. 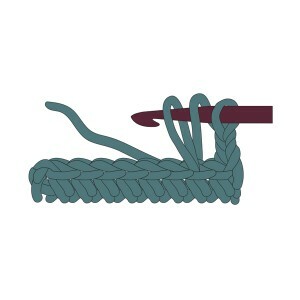 Wrap the yarn over the hook from back to front (yarn over) and draw it through the V.
1. Make a slipknot and position it near the end of the hook. 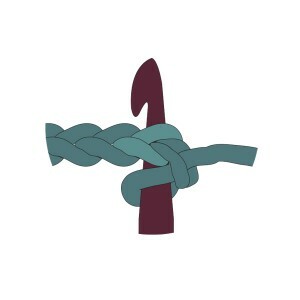 Wrap the working yarn (yarn that is attached to the ball) around the hook (also called a yarn over). A list of master abbreviations commonly used in crochet. Categories of yarn, gague ranges, and recommended needle and hook sizes.